Austin, Texas (May 18, 2015) – CodeLathe, the leader in enterprise private cloud, today announced the immediate availability of a new and extremely secure version FileCloud for government agencies. Federal and state agencies can now deploy and self-host FileCloud using the secure Amazon Web Services (AWS) GovCloud infrastructure to back up, save, and share files in a secure environment. FileCloud on AWS GovCloud is an ideal solution for government agencies that want complete control and security of its files. In a typical file sharing SaaS application, service providers typically give cookie-cutter functionality to all customers and tenants. As a result, data is often co-mingled, which is a major security disadvantage for customers that need complete control of its information. 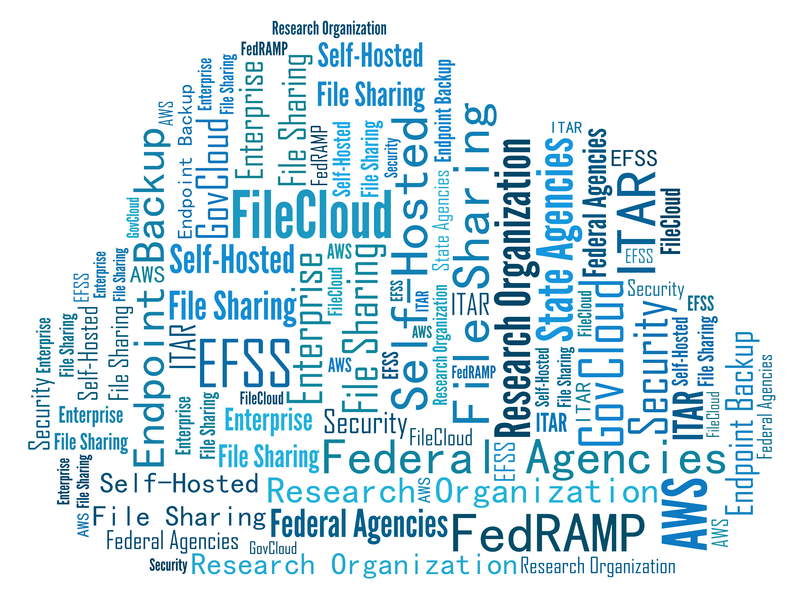 With FileCloud on AWS GovCloud, each agency can self-host its own file sharing system that meets both the U.S. International Traffic in Arms Regulations (ITAR), and Federal Risk and Authorization Management Program (FedRAMP) standards. ITAR controls the import and export of defense-related articles, services, and information. FedRAMP is a government program that provides a standardized approach to security assessment, authorization, and continuous monitoring for cloud products and services. The agencies that adopt FileCloud on AWS GovCloud have complete control over the system – from encryption keys and domain name, to terms of service and security policies. The data never co-mingles with other tenants in the system, and the system setup is handled completely by the agency. FileCloud apps are available for all desktop computers, laptops, and handheld devices across all mobile operating systems. FileCloud’s most important differentiators is its unique ability to monitor, prevent, and fix data leakage, which is critical for government agencies. All controlled unclassified information that is created by government employees, regardless of location, is fully protected when accessed using FileCloud. FileCloud for government agencies is available for immediate download at www.getfilecloud.com. Pricing for FileCloud via AWS GovCloud starts at US$999 for 20 licenses per year. Additional user licenses cost US$25 per user per year. For more information or to try FileCloud, please visit www.getfilecloud.com or call 1-888-571-6480.